September is upon us, and the time we change out our wardrobes. We are counting down the months on our BOM now. Are you just loving the looks of your quilt? 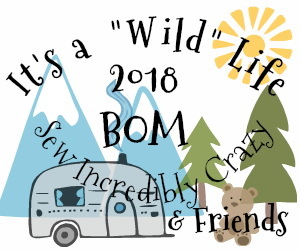 We've seen lots of "Wild" come to life and this month is no exception. Carol from "Just Let Me Quilt" has done it again. He sure fits his name, now doesn't he? He just made me laugh as I was stitching him up. We all know one of "them"! I do believe, he is going to be our Casanova of the forest! That sweet little hedgehog seems to take it all in stride, though. Remember to get them before the month is up and it's free. After that there will be a small charge. 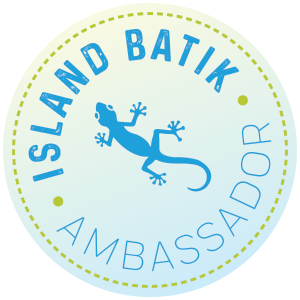 A big thank you to "Island Batik" for sponsoring me for this BOM. They have provided these fabulous batiks from their Basic and Blender collections. And that means, they are available all the time. Thanks to all of you, who inspire all of us designers every day! Yesterday was a splendid finale for a Fabulous hop. Elana shared her reusable shopping bag pattern. These days we all need them. Selena shared her Easy Peasy Back Packs with us, in so many fabulous fabrics. I wrapped up with hop with a fun stash buster...Box of Strings. We've been blown away with all the incredible finds for this fun hop. My fellow bloggers have inspired us in so many ways. A big thanks to each and every one of them. to our list of must do's. Our project list just keeps growing and growing! We are a great bunch of instigators aren't we! I sure do hope everyone has enjoyed this hop as much as I have this week. What a great array of fun "Freebie" projects we can play with. Yesterday Beth shared her passion for Bonnie Hunter quilts with us. Daryl shared a fabulous "Arabesque" bag with us. Rose shared her "Staggered Strips and Squares" pattern with us. Kay shared her "My Blue Heaven" Bonnie Hunter quilt with us. Dione shared an adorable little pumpkin wall hanging and a fabulous assortment of binding options. Lyndsey shared many of her favorite freebies over the years. and how much stash we have accumulated. Having a way to use up those extras, is an added bonus for everyone. pattern designing. I, by no means want to take away from the lively hood of designers, but I do think its fun to sit down with a free pattern from time to time and just play. After this week...I've got a lot more of playing to do it looks like. I'm excited to share the project that put this hop into motion, to begin with. While drinking my morning "cuppa", I came across a post on the "Quilting Board.com"
I just love how much it looks like tumbler blocks. because I decided that I wanted it to be king size. Heaven knows, I had the stash for it! These blocks are all paper pieced, on phone book pages. to "let 'er" rip thru the machine by the hours. while I was rippin away, stitching absolutely nothing! Phone book pages are great to stitch on. They are sturdy enough to handle the stitching, yet tears off easily in the end. This quilt took more than 1 phone book, to make all the blocks. be a thing of the past before you know it. That's what was overflowing when I started. This trash can, was what was left when I was done. I actually threw these little bits away! Don't laugh...that's a huge step for me! Sewing the rows together cracked me up! Last chance to look up that phone number you needed! but it sure made things easy to assemble, as well. The down side to paper piecing is removing all that paper. I spent about 2-3 hours outside ripping away, and only got about half way done. We have had tons of rain and hail lately. The skies looked crappy and the report wasn't good. I thru my quilt over the bench outside and waited for the weather to do it's job. What didn't fall off was so wet, that it rubbed off easily with my hands. ...was gone with the wind in a few days. 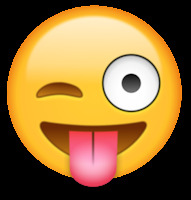 LOL!!!!! This is a shot of 2 rows. Doesn't it make you want to break out the scraps and play? Her original is 74" X 84". Mine is 98" X 100"
I've been reading online that some have been piecing these blocks on a light weight foundation fabric. That is much easier to deal with...no ripping paper out, but this quilt has a LOT of seams and is pretty heavy when it's done. It's a personal preference, but the added weight of the foundation fabric is too much for my taste. This quilt going to be great for those cold winter nights, for sure. Now that's a sight no one wants to see! A big thanks to all the special bloggers who shared this week. You can catch all the posts on the links below. 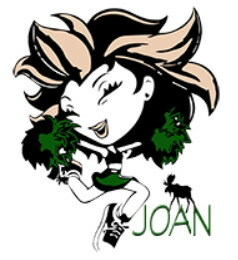 Also make sure you check out "The Eclectic Abuela" blog. She has loads of fun things to see. Still feel like you need more freebie fixes? Check out my list of tutorials on the right hand side bar, and have some fun! I just love all the Fabulous Freebies my fellow bloggers are sharing. so if you missed "Bejeweled Quilts by Barb" yesterday, here's the correct link. Barb shared 5...yes 5 of her designs with us. They are perfect for towels, pot holders, trivets...with the holidays approaching, we are always looking for those special quick gifts. Carla shared one of her many...30 to be exact quilt block projects with us. 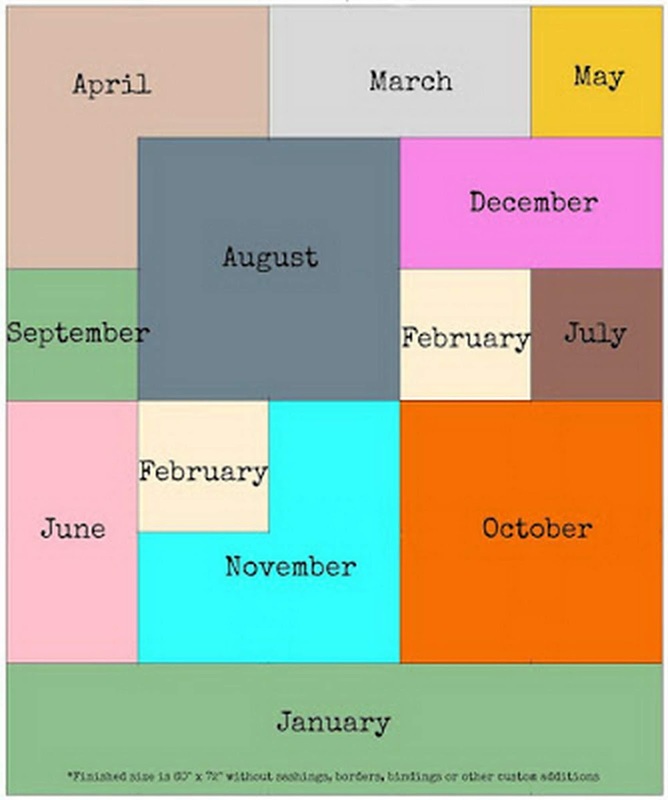 Do you remember 30 Blocks in 30 Days? They are quick and easy and perfect for that new quilter too! Charlene shared an oh, so fun "Clean Living" retro TV pattern with us. I have to say, I just can't get that suggestion of adding family photos to the screen out of my mind! Kathy shared the perfect solution for a great hiding place on a hanger. Yep, my chocolates are going right in there! Along with 2 sunflower blocks that are perfect for fall. Susie shared her Christmas Flamingo. Not that we have flamingo's around here, but this one is going to have to be a part of our holidays from now on! Bea shared an adorable little tulip pin cushion pattern with us. She also suggested making the blocks into a mini quilt. How cute would Sharon's dolls (from Tuesday) be with that. Here are our fabulous bloggers who are sharing today! Oh, there are more...more fabulous freebies to share today. Pat shared a "Cheddar Jack" quilt block that she made into a kennel quilt. There are needs all over the country for kennel quilts and people like Pat step up and make it happen. She also linked her all time Favorite Freebie "Hugs and Kisses". Brenda shared the cutest baskets...she even made one in my favorite Halloween colors and I'm loving it!!! There are links for "All Free Sewing" with literally hundreds of free patterns. And when looking thru the link for Wooden Bear, I found so many that I just have to try! Anorina shared a gorgeous Linoleum Cushion pattern she designed. What a great addition to anyone's home! Sharon shared the sweetest little dolls complete with their own mini quilts. What a fun guild gift! I think it's safe to say that our fabulous blogger did NOT disappoint yesterday! Carol shared her Cheerio Quilt...who doesn't love Missouri Quilt Company designs. Elizabeth shared an adorable wool felt pumpkin mug rug. Joy shared the sweetest little kitty stitchery and loads of fun free projects on her blog. Tu-Na shared the most adorable poodle block as well as lots of fun block patterns. She also reminded us how important it is to download it if you see it right away. You never know when that freebie will disappear and will be gone forever! Great tip Tu-Na! Susan shared a fun freebie called "Balance Quilt". As soon as I saw it the song "Lollipop Guild" from the Wizard of Oz ran thru my head and was stuck there all day! I have created a "Fabulous Freebie" Pinterest board for this hop. Today we have 5 more fabulous bloggers to share their special finds! Are you ready for some fabulousness? I'm guess that these Fabulous bloggers have an answer for it all today. 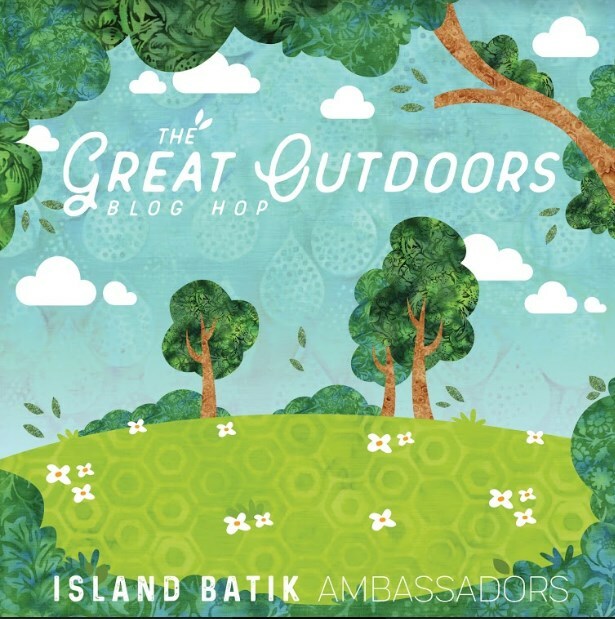 I do hope you have been enjoying the Island Batik blog hop so far. We are only half way thru and we've been treated to so many wonderful new projects and fabrics. My little heart is going pitty pat pitty pat! I do apologize for my Rafflecopter not working properly. I've been righting my phone and Internet service for 3 weeks now and finally, I am back up and running full speed. Whew! It's quite the challenge to not have access to the Internet! You can cut off my TV and radio, but please don't take away my Internet! After fighting with the phone company, turns out it was an inside wiring issue. OK! My apologies Century link! I do you your that one. 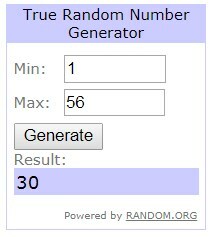 There were 56 comments and number 30 is our winner. I've sent you and email for your mailing info, and will get this in the mail to you right away! Congratulations Anita, and a big thanks to all of you who visited and left such sweet comments. I do love being an Ambassador for Island Batik. A big Thank you for having me! There are still 2 weeks left of new fabric lines and project to come. 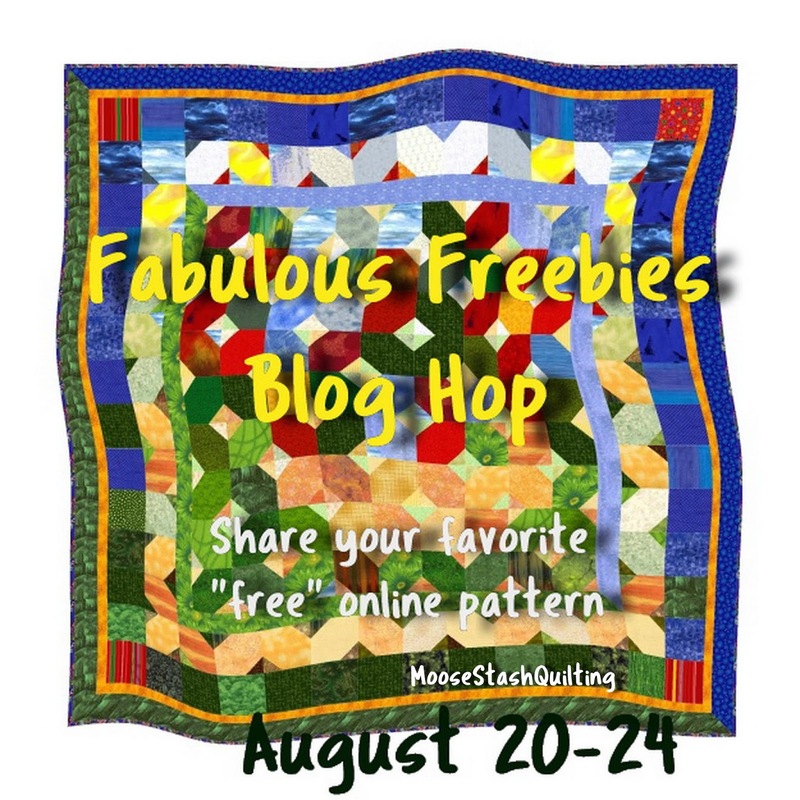 Monday is the start to our "Fabulous Freebies" blog hop. I'm very excited to be hosting this fun hop. With the holidays approaching, what better time. Everyone will be sharing a freebie project that you can find online. Can I get a whoop whoop here? The schedule for this hop is also in the link above with the "Great Outdoors" hop. 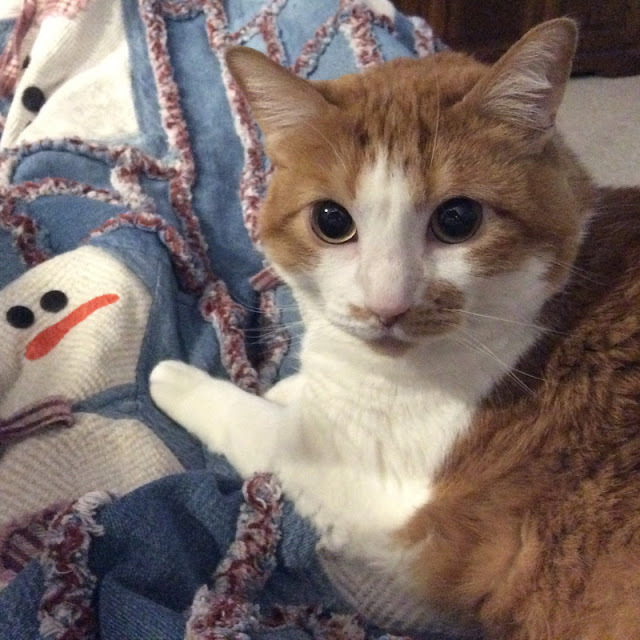 This is the first year I've participated in the "Pets on Parade" blog hop. or even spending time in my quilt cave with me. She had her own agenda, and it frequently didn't involve people! LOL!! She passed away on Mother's day night. especially my hubby, the only one she adored. 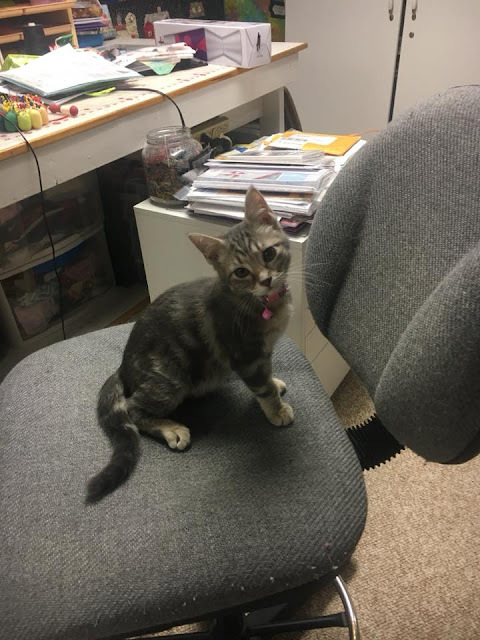 We were petless for a month, and then it was time to bring new life in the house. In came these 2 little bundles of joy. Making their way to their new BFF, as soon as they walked in the door. and we had to switch their collars once we found out what they were. Boys really don't like pink, I'm told! came with worms, ear mites and runny eyes that turned into rip roaring respiratory issues. This brother sister team, do love each other though, and have grown to love everyone else around. 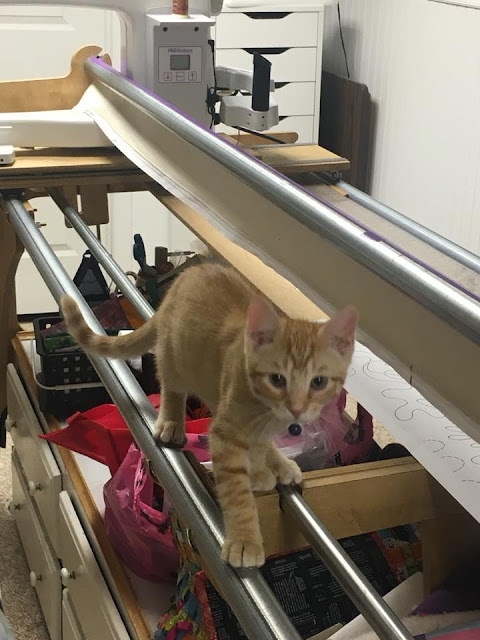 Are they helpful with my sewing? he managed to tangle himself in, as I was sewing. If the stare down doesn't work, I'll just bite the thread as you stitch. and knowing he wants it to stop. Only to find that these quilt things, are pretty comfy after all! And the other tells me, I'm not going to do any long arming either. What is a quilter to do??????? This is our adventures with Kenai and Denali. 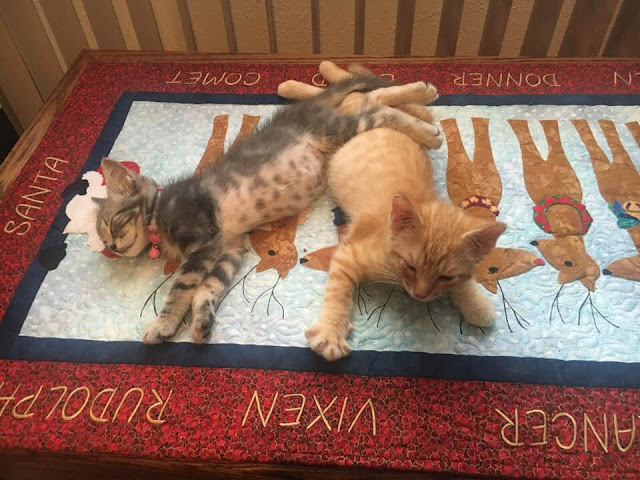 They are getting better every day, and my vet bills are growing. But I think we are finally on top of it all! I don't think anti-biotics will help there! The things we do, for the pets we love. I'll try to do the same here!